Costa Tropical,Property Rentals in Costa Tropical Villa renters Holidays. The COSTA TROPICAL offers a diverse range of beaches diving & snorkling, windsurfing, paragliding, jet-ski, nudism, fishing or just sunbathing and swimming. Many have a good range of restaurants and bars with excellent fresh local seafood and often free tapas. Granada coastline main resorts. 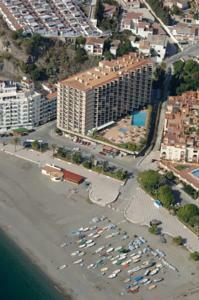 Click above for Discounted prices of Hotels on the Costa del Sol. Save up to 75% on your reservation! The COSTA TROPICAL offers a diverse range of beaches diving & snorkling, windsurfing, paragliding, jet-ski, nudism, fishing or just sunbathing and swimming. Many have a good range of restaurants and bars with excellent fresh local seafood and often free tapas. Granada coastline main resorts include SALOBRENA, ALMUNECAR, CASTELL DE FERRO, TORRENUEVA, LA HERRADURA as well as Motril. Inland, quick easy access to the timeless mountain villages of LAS ALPUJARRAS, LECRIN VALLEY & SIERRA NEVADAS. 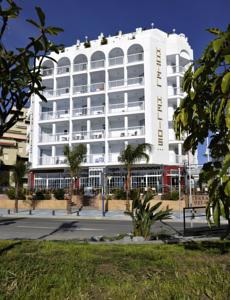 Also a good base for bargain property searches - many travellers have bought when staying here - Motril has many agents and Lawyers. The area remains SPANISH, restaurants and tapas bars are varied and cheap. Motril Port area has many excellent fish restaurants . Nearby Motril town - 5 minute drive - is a thriving market town, busy year round. Not a purpose built tourist resort that closes 6 months of the year! Benefits from excellent shopping facilities supermarkets, including a large hypermarket, boutiques & small daily indoor market. Nightclubs limited and thankfully no British pubs or businesses! Nearby, village Puntalon (10 minute walk) has a restaurant and three small bars - but really need to centre on Motril for everyday needs. The immediate location is semi-rural and quiet considering its proximity to Motril town - 3kms. The whole area has a fast growing economy, based around horticulture as well as tourism - mainly Spanish. All this is facilitated by the improving road network and easy links with three international airports GRANADA/MALAGA/ALMERIA. Although on a touring holiday, possible to use Alicante, Gibraltar, Murcia or even Madrid - less than 5 hour drive - excellent motorway. Many sub-tropical fruits and vegetables are produced in the area, often for export to the large supermarkets of Northern Europe. Some surrounding land is covered with Invernaderos (plastic greenhouses) regular crops are cherry tomatoes, cucumbers and French beans. On open land, often potatoes, leeks, lettuce & asparagus. The hillsides are used for sub-tropical fruits and further inland olives, almonds & chesnuts. The Apartments mature gardens are home to many native plants, some fruit trees, palms and flowering shrubs. In season help youself to avocados & citrus fruits. Enjoying, probably the Best climate in mainland Europe - averaging over 320 sunny days a year - snow & frosts very rare on the coast! Mild Winters as the property still at sea level. Also enjoy tranquil fountain areas, BBQ & various patios - ideal for Al Fresco dining. Not forgetting the Summer kitchen, fully equipped for 6 travellers charcoal bbq, gas paellero, honesty fridge, sink. Private swimming pool, shared only with any occupants of Casa Pequeña - normally just 2. Fully illuminated and private, with seating and ample sun loungers under a vine covered terrace.